Sheikh Abdullah’s upcoming visit to India to strengthen ‘Comprehensive Strategic Partnership’ … reports Asian Lite News. Raveesh Kumar, Joint Secretary and Spokesperson of the Ministry of External Affairs, warmly recalled Sheikh Abdullah’s visit to India earlier in September, 2015. 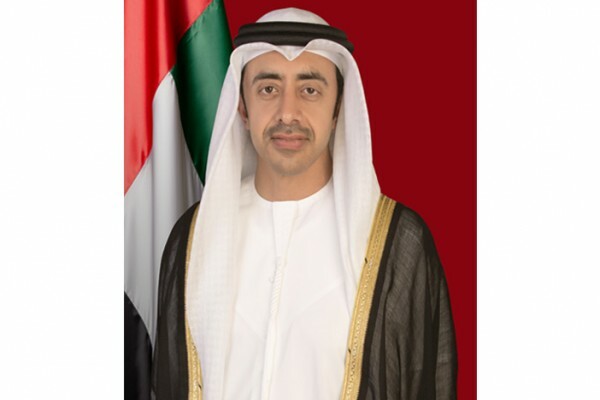 He had also accompanied His Highness Sheikh Mohamed bin Zayed Al Nahyan, Crown Prince of Abu Dhabi and Deputy Supreme Commander of the UAE Armed Forces, to India in February 2016 and later in January 2017, when Sheikh Mohamed was the Chief Guest at the Republic Day celebrations in New Delhi. 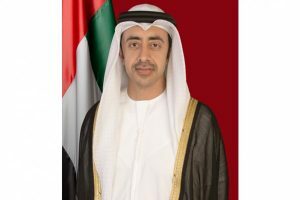 Sheikh Abdullah’s upcoming visit will be from June 24th to 30th. His Highness will be accompanied by a senior-level delegation. Apart from the official programme in New Delhi, the visit also includes engagements in other states of India. During the visit, Sheikh Abdullah will call on Prime Minister Narendra Modi and hold official talks with External Affairs Minister, Sushma Swaraj. He would also be meeting several Indian cabinet ministers, Governors and Chief Ministers of the States being visited by him, according to the announcement. Kumar pointed out that Modi had visited the UAE in August 2015 when the two countries decided to elevate their relations to a Comprehensive Strategic Partnership. “The Prime Minister had another successful visit to UAE in February, 2018,” he said. The Ministry of External Affairs asserted that “India and the UAE enjoy warm, close and multi-faceted relations underpinned by historic, cultural, religious and economic linkages. The UAE is India’s third-largest trading partner and sixth-largest supplier of our energy needs.